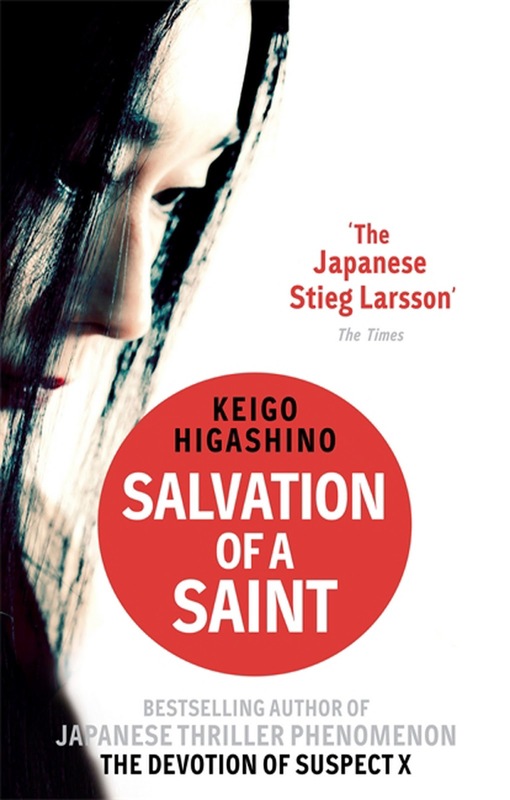 It is very difficult to objectively review a book whose cover has a blurb “The Japanese Stieg Larsson” from a publication as venerable as The Times (presumably, London). Keigo Higashino is also the author of The Devotion Of Suspect X, the multi-million copy bestseller that was also made into a movie (needless to say, hugely successful). Salvation Of A Saint is the story of a millionaire killed by arsenic poisoning, which has only two suspects – the victim’s wife and his lover (for whom he was leaving the wife). It doesn’t take a Sherlock Holmes to hazard a guess who the killer might be. Even if you are wrong, your second guess has to be correct. The beauty of this mystery novel is that the solution comes through stray observations, throw-away comments and simple assertions about human nature. Why would an obsessively neat housewife not put her champagne flutes away? Why would a man insist on bottled water to make coffee? How does a woman feel when she is unable to bear a child? As Higashino goes about building seeming inconsequential conversations and describes quotidian events, he builds a tapestry of clues to unravel later. And when he does that, the logic of deduction is masterful. Having said that, there is a problem. This is a mystery novel, not a thriller. The build-up of events and characters is a little too slow to get sucked into the story right from the beginning. For me, the reputation of the author was the only hook that kept me on till the very end. Except for the last quarter of the novel, the pace is leisurely and there are just not enough clues for the readers to get their brain cells into play. Blame it on the breathless pace of the TV crime dramas (which kill off several people in one episode), my expectation of a crime story has come to include a lot more ‘happenings’ – murders, reveals, twists, turns. Salvation doesn’t offer any of that. In itself, this should not have been a problem. There are many detective stories that gloss over the ‘inactive’ period with the eccentricities of the hero and his interactions with his cronies. Hercule Poirot’s obsessive neatness, his sartorial style, his exasperation with Hastings all added to the allure and often, one looked forward to these descriptions to add a bit of spice to the detection. Likewise, Sherlock Holmes’ cocaine addiction, Feluda’s banter with Jatayu, Byomkesh’s social milieu were all grist for finely etched episodes that framed the detective stories beautifully. I felt the premise of Detective Galileo – a University professor swearing allegiance to science and scientific methods to solve crimes – was too commonplace. His interactions with the police officers were again not sharp enough to look forward to. And indeed, he just isn’t there for long enough to make an impression. Salvation has a brilliant twist in the end but the scale of the crime, the pace of the detection and the charm of the protagonists just did not have enough thrills. A likeable enough book but not one that will keep you up past your bedtime to know the killer. April 24 was the birthday of Mac Mohan – one of the most recognised faces in Bollywood. With his distinctive white-streaked hair and beard, he was the quintessential villain’s henchman – never shying away from ordering a hit or helpfully passing on his boss’ message. Today’s column looks at the life, times and trivia of ‘Mac’. Mac Mohan was his screen name, arrived at by cleverly juxtaposing the first syllables of his name and surname – Mohan Makhijani. He came to Bombay to become a cricketer but ended up in the movie industry instead. He had several filmi connections as he was Sunil Dutt’s classmate in Lucknow and Raveena Tandon’s maternal uncle. In fact, the actress was very fond of ‘Mohan mama’ and thought him to be a hero in real life. There was a controversy around the National Awards of 2001 when Raveena won the Best Actress prize for Daman while Mac Mohan was a member of the jury (and later accused of nepotism). He made his film debut way back in 1964 with a part in Chetan Anand’s war drama – Haqeeqat – set in the backdrop of the Sino-Indian war. He was also seen soon afterwards in Joy Mukherjee starrer, Aao Pyar Karein, where he danced to a song displaying female moves as part of a prank with his friends. The song can be seen here and acknowledgments are due to Jai Arjun Singh who discovered Mac and Sanjeev Kumar as the ‘hero’s friends’ in the song. His most iconic role was – of course, obviously, definitely, TOTALLY – in Sholay. 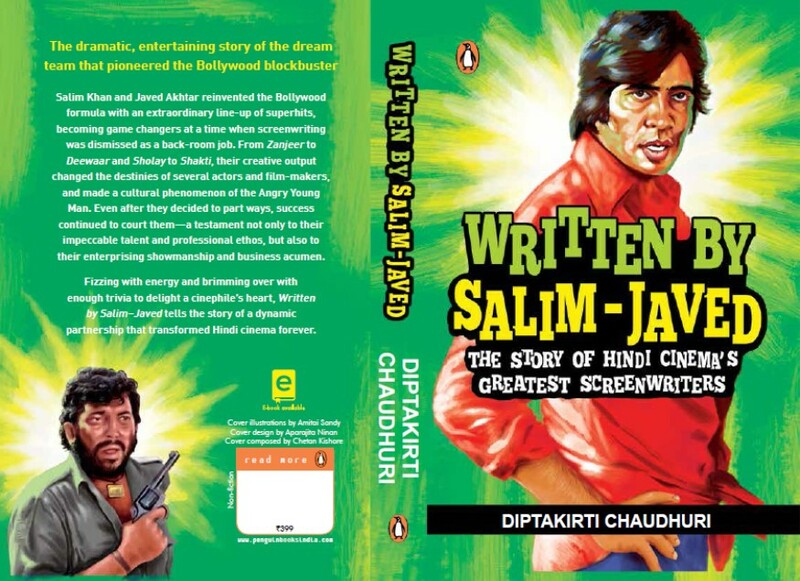 He gained legendary fame and his name in Sholay – Sambha – became a household word, thanks to a superb conversation with Gabbar Singh that led to his speaking just three words in the entire film. The device of Gabbar getting a sidekick to praise was explained by Javed Akhtar as an obvious one since megalomaniacs like others singing their praise. To this end, Sambha said “Pooray pachaas hazaar”, the reward on Gabbar’s head and made history. Incidentally, the shooting of Sholay had him speaking in several scenes but all of them got edited out. In fact, Mac Mohan was very disappointed he saw the rushes and requested director Ramesh Sippy to edit even that one scene out. As it turned out, he started getting recognised on streets as Sambha and was mobbed by audiences when he went to see the film in the theatre! Silly Aside: Rekha played an outrageously dressed vamp in Madam X. The fourteen people who saw that abomination of a film would remember (or not) that Mac Mohan played her chief henchman and his name was Sambha! Mac Mohan made his career out of playing the villain’s henchman in countless (actually, 218) Hindi films. In Karz, he was Sir Juda’s (Premnath) interpreter since the main villain did not speak and communicated only by clinking fingers on glasses. In Satte Pe Satta, he played a henchman who tried to roll a boulder on an heiress but failed due to the efforts of the brothers. In Don, he was part of the smugglers’ gang wearing natty clothes and playing cards. He did the occasional ‘good’ role as well. For example in The Burning Train, he was the leader of labourers trying to make an incline to stop the hurtling train. In fact, he was shown as the passionate leader who egged his team to complete this critical task taking instructions from Vinod Mehra (through a megaphone). In fact, the final instruction – which precipitated the climax – identified him by name – “Mac, Super Express ko incline pe daal do”. His name was so popular that in an exceptionally large number of films, his characters were also called Mac. This was in line with the tradition created by iconic villains like Ranjeet and Prem Chopra, whose characters were often named after their real names. In 31 out of his 218 movies, Mac was Mac! For the mathematically inclined, that is a whopping 14% of the total output. For the trivially inclined, he was Mac in three successive movies in 1993 and called Mac Kelkar in the forgettable Jawab Hum Denge. One of his very interesting roles came in Kaala Patthar, where he played Rana the card shark. This character had a very interesting twist in the climax when a group of miners were stuck in the submerged mine and used a draw of cards to decide who would get to escape using the lift first. One of Mac’s last roles was in Zoya Akhtar’s Luck By Chance, set in the world of strugglers in the film industry. He played himself, as the chief guest at the graduation ceremony of an acting class (run by Saurabh Shukla). Before giving out the certificates, he was requested to speak. A gushing student asked him not for a few words but for those three words that made him iconic. Mac good-naturedly obliged by restating the reward on Gabbar’s head... to thunderous applause. At the end of a busy career, he deserved it. Filmy Fridays: Which witch is which? I have just started writing a column for Yahoo! Movies called Filmy Fridays. This is what I wrote in the introduction of the column. When you watch an Ayushmann Khurana movie, do you remember other movies in which the hero sang? 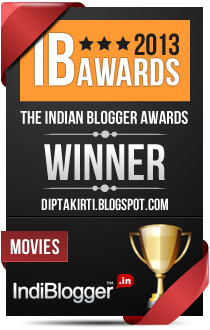 Did Chashme Buddoor (the Classic) remind you of other movies shot in Delhi? Does Shashi Kapoor in Deewaar remind you of Raj Kiran in Karz? Well, you turned up at the right place then. Every Friday, we will take one element of a current topic – a newly released movie, a special day, a star in the news – and go back in time to find some similar elements from the classics of Bollywood. Some will be obvious, some obscure and some tangential… hopefully, it will all add up to a lot of fun. And this is the first column, which takes off from last week's 'big' release - Ek Thi Daayan. Ek Thi Daayan releases today. Emraan Hashmi will be torn between the attentions of Huma Qureshi, Kalki Koechlin and Konkona Sensharma to decide which witch is which. The trailer offers many tantalizing theories about recognizing a witch while the National Commission for Women protests against the ‘negative’ portrayal of witches/women in the movie. Now would be a good time to examine how many witches and lady ghosts have appeared in Hindi movies. How scary were they? What did they do? Bad things or good things? How were they identified? How memorable were they? Vishal Bhardwaj – the producer of Ek Thi Daayan – seems to have a witch obsession. He created a memorable chudail in Makdee as well. Gnarled fingers. Matted hair. Creepy eyes. A dilapidated mansion adorned with skull and bones. She drank blood of eagles and bats. She was known to have dark magical powers and turned people into animals at a star-shaped altar in her mansion. While it was supposed to be a film for children, Shabana Azmi became an evil witch who managed to scare even the adults. She met her match in Chunni (child actor Shweta Prasad) after she ‘turned’ her twin sister Munni into a chicken. The little girl pulled together all her courage, friends and meager resources to fight the evil witch – who became a metaphor for superstition and blind faith. And in the climax, Shabana Azmi’s frenzied performance made us realize once again why she is still India’s finest actress. Villain killed heroine. Hero wanted to prove it and discovered a lookalike. The lookalike was supposed to pretend to be the dead heroine and extract a confession from the villain. Everything went as per plan – lights went out, thunder flashed and sound of anklets reverberated. The lookalike walked in and – with much drama – got the villain to confess. Except that she knew much more than she should have. On cue, another lookalike walked in, who had got delayed due to some unforeseen situation. As the hero processed this information, the earlier lookalike vanished into thin air. She was the ghost of the dead heroine, returning to take revenge. Madhumati (Vyjayanthimala) was the first to have this ghostly trick and then tribute-factory Om Shanti Om recreated this sequence with Deepika Padukone. Both heroines were, well, deadly in the roles. The title of the most ethereal ghost in Bollywood has to be Dimple Kapadia in Lekin. She took smitten archaeologist Vinod Khanna on elaborate tours of deserted havelis, gave him delusions of grandeur, sang breathtaking songs and vanished into thin air amidst sand dunes. And just when we were confused if she was a figment of Vinod Khanna’s imagination or ours, her elder sister Hema Malini (ethereal running in the family, clearly) popped up and informed us of Dimple’s demise. 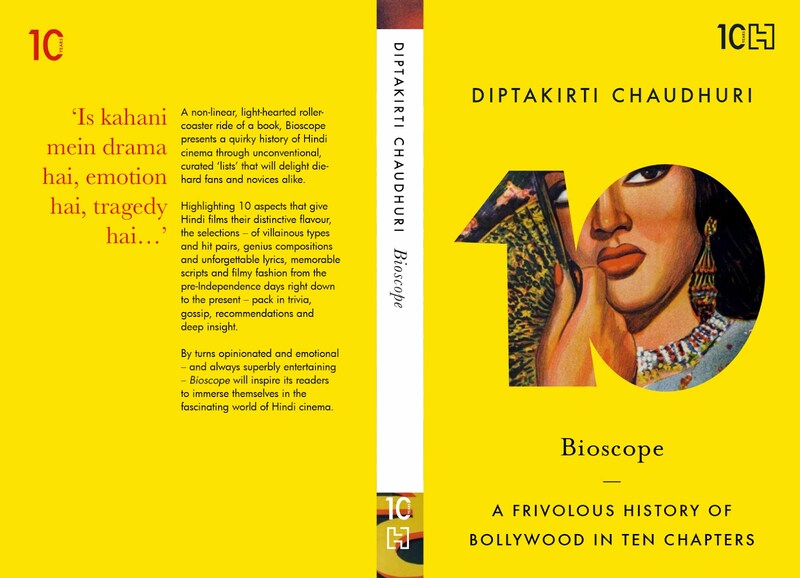 Interestingly, Meghna Gulzar revealed in her biography of Gulzar that Dimple was not allowed to blink in any of her scenes in the film and that endless fixed gaze added to her other-worldly allure. Ever since Manoj Night Shyamalan made The Sixth Sense, a whole new avenue of ‘inspiration’ opened up for scriptwriters across the globe. Of course, Arshad’s girlfriend (Dia Mirza) gave him hell for his eccentric mumblings and threatened to leave him. Till she died herself. And guess who was the one living guy who could see and hear her? Arshad could have become the first man in history who actually heard what his wife told him… but for a silly plot twist. Tchah! When the trailers of Aamir Khan-starrer Talaash flashed across TV screens, Kareena Kapoor seemed to be the femme fatale leading the police office hero in murder investigation offering seductive glances and cryptic clues. The fatale of this femme was actually literal as she wasn’t a witness or an accomplice but the victim herself. She was an unfortunate call girl who got killed by some rich playboys and her murder hushed up. She appeared only to Aamir Khan and took him to scary locations and shady people whose secrets she seemed to know a lot of. Essentially an extension of The Sixth Sense plot device, Kareena the Ghost popped up whenever Aamir Khan needed a clue and nudged him towards the criminals. You know, our police could do with a lot of these other worldly assistances. 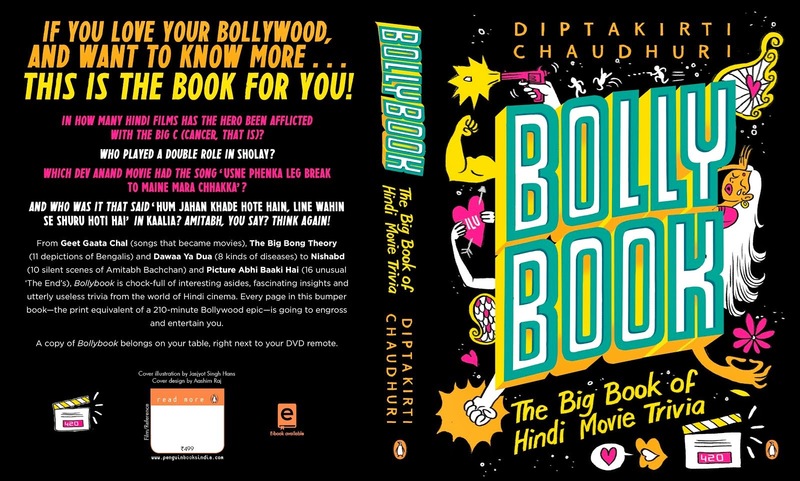 As a final aside, it would be interesting to look at the many chudails and daayans who have inhabited the world of B-grade Bollywood. - Daayan has also been the title of a movie while horror TV shows have picked up some of the more intriguing ones like Daayan Bani Dulhan (Whoa, this is Ramsay Bros meet Ekta Kapoor!) and Pahaadi Daayan. A while back, I was slightly obsessed with writing 55-word stories/paragraphs. I wrote one set of stories on heroines, one on the seven deadly sins and another longer story in 55-word paragraphs. Then, I forgot all about it. Yesterday I got some ideas while thinking about my pet topic. And 55 went to tinsel town. “The guy is really good”, Salim said. “He was a pain in the romantic scenes. But the fights were amazing”, added Javed. "Ramu-ji, Anurag and I were discussing the don must be an everyday guy in his personal life. Scared of his wife. Loves his kids. Loves eating kheer. You know, normal." "Interesting. Then the name shouldn't be bombastic. Not Mogambo or Bhaktavar." The office boy walked in. Vishal entered Chandan Cinema. Sajid came running, waving tickets. Vishal lit a cigarette and smiled at his friend’s enthu. Five stories of 55 words each. 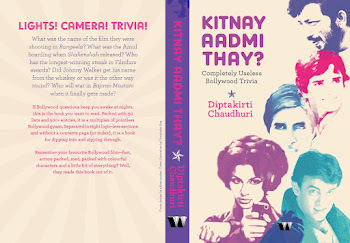 Each about one notable instance of Bollywood history, as imagined by yours truly. I am now wondering if they have become too obscure because the snapshot is all-too-brief. What do you think? Did you manage to recognize the people and the settings? Yes? Then, write some of yours, no?